Great program to learn to code! Do you have interest in writing code? Does that interest go beyond developing software? Maybe dabbling in development, IT operations, and testing / quality assurance? Basically... do you want to be involved in the entire product lifecycle? If the answer to any of those questions was yes, take a hard look at Tech Talent South's DevOps and Continuous Integration course! Here you'll take the deepest of dives into the newest and hottest trend of software development... DevOps (Software Development and IT Operations). You'll get a hands-on training with Linux, Git, and Ruby while learning the intricacies of some of today's most powerful tools in deployment, configuration, and automation. On top of that, you'll learn how to keep a project team organized with version control, and keeping your product always in production mode and up to date with Continuous Integration techniques. Are you looking for the next step in your Ruby on Rails development? Are you looking to dive into more advanced topics and techniques? Awesome, let's build something together in Next Level Rails! Whether you just finished our Code Immersion Course or have been learning the wonder of Rails on your own, this course is a convenient guide to the next level in your web dev skill set. Next Level Rails is a 12-week program designed to be the next step in your education of Ruby on Rails and web application development. This program is geared towards a junior-level developer who is hungry for more Rails knowledge. You’ll be given a great portfolio building experience led by a local industry leader. Students will be involved in the entire process of builiding a web application from scratch. They’ll be tasked with organizing, planning, and executing app features which will culminate in a finished product presented at a demo day. This course focuses on giving students real-world experience in a guided, educational setting. Class time will be split into two, giving the students time for both instruction and hands-on work. The Graduate Program is designed to give junior level developers and designers a portfolio building experience lead by an industry leader. Students are given an app idea project, then split into teams and tasked with organizing, planning, and executing app features culminating in a finished product presented at Demo Day. This course focuses on giving the students real-world experience in a guided, educational setting. The Part-Time Code Immersion course is perfect for someone with a full time job. The curriculum is scaffolded very well, and the homework pushes you to fully learn the subjects introduced in class. The course also does a great job of giving you the tools to keep learning on your own. I recently graduated from the 8 week part-time code immersion November - December 2017 cohort. I had previously been learning web development using Free Code Camp, Udacity, Codeacademy, and other online resources. I was tired of jumping around and not fully understanding how everything connected so I started researching boot camps. Tech Talent South fit all of my criteria: curriculum, cost, and location. The course does a great job of balancing content for complete beginners and somewhat knowledgeable students. With that said please make sure you complete the pre-course work before the course starts. This will make the class better for you as you won't feel completely lost on the first couple days. This course gives a great foundation in web development skills. You will learn some best practices in coding and how to structure your files and folders. We spent our class time following along with the teacher typing code and then after class the homework was uploaded for us to work on. The homework is not required for the course. However, if you really want to get the most out of this course you should complete it. I would highly recommend anyone looking at a coding boot camp to consider Tech Talent South and I would recommend that they attend. I truly enjoyed my experience and would do it again. Resume Review: I was able to get my resume reviewed and got advice on how I could tweak it to attract attention from tech companies. I currently have 10 years of retail sales experience so this was extremely helpful. Company Tours: The company tours are okay. Since I was taking the part-time course for the fact that I have a full-time job I was not able to get to many of the tours. However, the one I was able to attend was a great experience as you are able to see what real jobs look like and what the company is looking for. Attend as many of these as you can. Well worth it. Job Assistance: There is a job board that updates with jobs in the area. TTS is not going to hold your hand so if you have jobs that you are looking for or want help finding jobs then you need to reach out. Once you do they have done a great job with sending me jobs and highlighting what I should be looking for and what I would have the best chance of getting interviewed for. Again, they cannot promise you a job and they cannot help you get an interview but they are helpful in wanting you to get a job so reach out and help will come. Tech Talent South is the best! I am a PhD candidate at Emory University where my focus of study centers around topics including accessibility, usability, and research design and methods. I've always been interested in making services as "easy" and accessible as possible, but also reliable and valid. Is a product or service actually doing what it sets out to do? I became interested in these sorts of topics as a teenager when I was first learning about standardized assessment, survey design, and statistics. I realized that even on the most highly regarded standardized assessments, much of the content seemed "inaccessible," or inapplicable, to large segments of the population. For example, sometimes the language used would be so theoretical or heady that it was difficult to understand a question or a concept. Other times, questions on assessments, which were theoretically "standardized" and designed to be of use by "all" people, seemed to be missing the mark. For example, a standardized body image assessment might ask about a person's experience with exercise or a healthy lifestyle--the assumption could be that someone who exercises a lot may be labeled as having a negative body image because they're "obsessive"; at the same time, someone who doesn't exercise at all may be labeled as having a negative body image with the implication that they "don't care" and are negligent of their health. These sort of discrepancies bothered me! I started noticing these things everywhere in all forms. For example, have you ever used a "handicap" bathroom? Take a look around next time! Usually, the stalls are large enough for a wheelchair to comfortably navigate the space, and oftentimes the toilet seat and countertop are lower; but so often, the paper towel dispenser is too high to reach from a seated position, or there is a step-can trashcan for waste disposal, which could be completely inaccessible for someone who uses a wheelchair. It took me years to realize that these organic passions of mine were related to fields like human factors engineering and user experience research and design. While teaching myself some UX "basics," I realized how perfect of a fit this field was for me! I also realized that I needed (and wanted) a lot more knowledge and training! I first approached TTS because I was interested in their "UX Design for Beginners" course (which was a total blast.) On top of that, I'd always been interested in coding. I had zero experience with coding--I dabbled in things when I was a teenager, like html and silly customization (I can't be the only teenager in the early 2000's who had a bunch of different Angelfire and GeoCities (RIP) websites, am I right!?) but "coding" itself always seemed way too difficult. My friends who coded tended to be ridiculously good at math and they seemed adept at learning "foreign" concepts easily. I mean, I took Spanish for six years as a kid and can barely remember a thing--ergo, learning entire programming languages seemed impossible. After filling out some info online, I had an initial phone interview with Meghan, which was really much more of a conversation about *me* and my goals. I really appreciated this call--initially, I thought I had to "sell myself," which made me a bit anxious since I had zero tech experience. Instead, Meghan seemed more interested in figuring out if TTS would be able to provide me with the necessary resources for me to get a step closer to *my* goals. Since I'm already a full-time doctoral student, I don't have much free time and I have basically no money, ha! Meghan assured me that even though I'd be even busier, my schedule would be doable. She also shared invaluable information with me about scholarship opportunities and discounts. When Meghan asked if I was interested in other courses that TTS offered, I think I laughed. Of course I was interested! 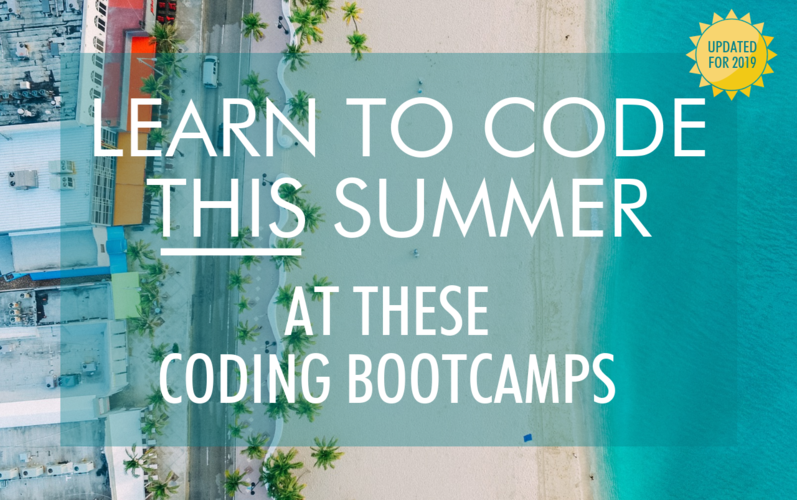 But every coding "bootcamp" I came across was several thousand dollars, required a lot of time, and seemed to offer false promises like guaranteed job placement. I casually mentioned I might be interested in a part-time coding course but that she shouldn't go into too much detail because I knew I wouldn't have the time or the funds. She respected this, and simply mentioned that I seemed like a really good fit for TTS and so she would email me pricing information, the schedule, and information about scholarships and discounts. Before approaching TTS, I looked into other UX and coding programs offered through competitive companies and attended some info sessions. While I'm sure that many competing programs are fantastic, they were simply too expensive for me to even consider. I found several courses that were $10,000+ for ~10 weeks and essentially required that people quit their job because of the class schedule. Many programs did offer scholarships, but they might only offer one single scholarship. One company in particular, a nationwide company, told me that they did indeed offer a scholarship but that I wouldn't be a good candidate (I appreciated their honesty!) because they only awarded ONE scholarship per cohort across the entire nation, and that these scholarships (understandably) went to people far more disadvantaged than myself. These companies also seem to prioritize job placement ratings and use that as leverage, using carefully-worded language to make it seem like a job was "guaranteed." Very few programs are in the position to guarantee anyone a job, especially in this economy, and that really concerned me. A company told me they had a 98% job placement rating within three months of graduation. When I asked probing questions, like "what percentage of these jobs are in the tech industry?" and "what percentage of graduates who became employed also had a traditional 4 year college degree?" I was met with silence. These are important questions for such an expensive investment! TTS makes no promises or guarantees about job placement and that's honestly one of my favorite things. The people at TTS, the entire model of the school, the quality of teaching...it all speaks for itself. TTS doesn't need to offer any [false] promises--they've created an environment where 1) the employees have the best interest of the students in mind, so obviously they will assist with things like connections and networking, and 2) the students are offered such good instruction and resources that we want to do as much as possible to succeed...we don't need handholding! To my delight, TTS helped make it possible for me to take both of the courses I wanted--UX and coding. They were incredibly responsive and I never felt any pressure. Everyone is also so accessible! For example, I kept running into a coding error while I was doing some independent pre-coursework coding exercises. We were given Zack's email and told to contact him with any questions, so I did. Little did I know that he's the CTO of the entire company! How cool is that!? I felt a little silly for asking such a basic question, but he never made me feel like I was wasting his time and he always responded with great detail, wanting to make sure I understood things. Both of my instructors were always available for office hours, and were constantly on Slack. On days we didn't have class and I was having a hard time, I would message my instructor on Slack and know that he'd respond. I had to miss a couple of classes due to a pre-planned trip, and my instructor took it upon himself to with meet separately upon my return to ensure I wasn't too far behind. I've been in school for 23 years at this point and the attention and quality of teaching I've experienced through TTS has been among the best! Plus, all of my classmates are pretty awesome; with relatively small class sizes, we're pretty much all able to get some form of individualized instruction if we get stuck and ask for help. The guest speakers that TTS brings in are among the best and also so accessible! None of them have a "cocky" attitude, and many of them are in high-level positions (CEOs, etc.) Atlanta has quite an impressive tech community and I was curious to see what sort of resources or connections TTS might have access to. When our first guest speaker was from MailChimp, that basically just solidified my confidence in them. Because of the guest speaker series through TTS, I've already had three separate one-on-one meetings with highly respected tech companies in the Atlanta area. I'm convinced that it's my own knowledge and drive, networking, and mentorship that will help me get a job in this industry, not a fancy "job placement rating" toted around my competitors. I came to coding by a long and winding road. My wife and I were living in Columbia, Missouri, where I was a doctoral philosophy student at Mizzou. For a host of complicated reasons, we decided to step away from higher education and the tenure track pursuit. It was the right decision at the time, but it wasn’t easy to make. Leaving school meant abandoning, for the foreseeable future, the only career path I had known. I love teaching and reading, writing and problem solving, and I had spent the better part of the last ten years in education. I now enjoyed the less than glamorous title of PhD dropout. What was I to do next? We knew that we needed some time to decide what the new phase would be, and we wanted to work with kids, so we moved to Washington, DC, in July 2016 to work as houseparents for at-risk youth. It seemed like a wonderful fit, but it went south fast. Though we enjoyed living in DC and some aspects of the job, dysfunction in the company and an overall lack of safety—not to mention the organization’s unwillingness to make necessary changes—compelled us to make plans to leave. Since we lived in a group home of sorts, leaving the job meant leaving our residence and the kids we’d worked so hard to serve. With heavy hearts we decided to apply for jobs in various cities we liked—mostly in Tennessee, one of our favorite states. The deal was this: whoever got a job first, we’d move for that job and the other of us would make it work. But Tennessee was apparently not in the cards. My wife unexpectedly secured a job in Charlotte, NC, and that’s where we went. It was a trying time. We felt that we needed to leave Mizzou, so we did. But we managed only seven months in DC before being faced with yet another move. We felt weary, disoriented, and discouraged—me especially. Here we were in a new place, with one car. What on earth was my plan? Doubts crept in. Did we really know what we were doing? I strung together some part time jobs and tried to figure my life out. I had a few ideas for what to do, and coding wasn’t the top choice. One idea was to pass the state Praxis certification and teach secondary math, since I like math, teaching jobs seem always in demand, and I could pursue my writing projects on the side. I also like the model of classical education, so I thought about becoming proficient in Latin and teaching in a classical school, since I could also teach logic or rhetoric or something else of interest. Then there was coding and web development. I had some philosophy friends who left higher ed and were from all appearances leading successful careers in programming. The problem was finding a way to break into the field. I had no knowledge of coding; I didn’t even know what a platform was. But the first and most attractive idea was to take the LSAT and go to a good law school. You might think I’m crazy (and you’re probably right, though for other reasons), but law school sounded fun and interesting; it still does. And the LSAT is a philosopher’s dream: just logic games, verbal reasoning, reading comprehension, and argumentative essay writing. At the very least, even if I didn’t go to law school, I could still do LSAT tutoring for side income. I liked all of these options, but it seemed clear to me that I could only pursue one at the expense of the rest. Which should I choose? It turned out that the decision was all but made for me. I was about to register for the September LSAT when a chance arose to enroll in Tech Talent South‘s full-time code immersion course. I put the LSAT to the side and took this opportunity head on. And I came to know firsthand what afriend had told me: coding was a lot like doing logic and philosophy! In the class we were creating functions, working with sets, defining terms and variables, using conditional statements and embedded clauses, writing programs as clearly and simply as possible. There was elegance to it and it involved creativity. A few weeks into the course I was preparing to go on the job market. I hadn’t thought to look outside of Charlotte, but a close friend told me that his company in Saint Louis was looking to hire a junior-mid .NET developer. Our course was working with Ruby on Rails, not .NET, and I had no formal experience. But he’s a senior developer with a fantastic reputation—and rightly so. He recommended me and made a true philosopher’s case for why his boss should give me a call. His boss did, and a few interviews later I had an offer, which I gladly accepted. I've been at the company for more than one year, and the esperience, though challenging, has been great. I get to build software for a good company, while working alongside one of my best friends. It’s funny how life, more often than not, does not behave according to plans. The TTS course literally came out of nowhere, and it played an essential role in getting me a job. It quickly gave me the necessary exposure, background knowledge, and confidence to make the next step in setting out on a new career. More than all of that, it gave me a sense of hope and a new vision for the future. TTS staff and alumni were like family. The classmates were supportive, the teacher was competent and enthusiastic, and when I reached out for advice on the job market from former students who had made their way into coding, they answered. I had phone chats and coffee conversations and meetings. The TTS network is big and its members are skilled at their work but also kind. All you have to do is make an effort to pursue the opportunities that TTS offers. You won't be disappointed. I wasn't. Tech Talent South has been everything I wanted from a bootcamp and more. The material provided in class is concise and well-written, but the best part of my experience has been my interactions with my course instructor, community organizer, and fellow students. My instructor has been a senior rails developer for years, and he is one of the few instructors I've had throughout any educational institution who has exhibited expertise in the subject matter, effective teaching ability, and legitimate care for how well his students go on to use their newfound knowledge to better their lives once the course has ended. In addition, my community organizer has been an invaluable source of pertinent job assistance and knowledge in what tech meetups are happening in my area. She also took initiative in arranging several meetups and guest speakers for our class specifically as well as finding job opportunities she thought were good fits for us as individuals. After an initial extra-curricular meetup encouraged by our instructer, my fellow students and I have continued to meet together once a week to code together and share knowledge. This sense of community has helped drive my learning experience forward after the class has ended. Before I took this course I was intimidated by even trying to search for jobs in the tech industry, but the people involved in this bootcamp have helped me both find where to begin and how to continue growing from that point onwards. I have no regrets about taking this course, and I recommend it to anyone looking to start coding. Tech Talent South(TTS) has been a game changing experience for me, I came to the program after leaving behind a career in management. I learn best by immersion and decided to go with TTS after their chief of student success and diversity personally called me to recruit me to the program. This personal touch, and willingness to build a deep connection is one of the core aspects of the TTS program. Most bootcamps are just that--bootcamps. Tech Talent South is a village. My instructor is a senior Rails developer at a large corporation here in Dallas, and he became personally invested in my cohorts training. Our community organizer is amazing and will hand pick and send us jobs she thinks we'd be perfect for. Our class has already graduated but we still meet up every week to code together, support one another, and look for work together. What I learned from TTS moreso than coding(its tough to do this thing Part Time) was the culture and mindset of a professional developer. The knowledge my instructor passed on to me about the Tech Industry and software engineering has been invaluable. We didn't just learn HOW to do things, he taught us WHY and he also taught us WHAT the industry standard is at major corporoations. I'm confident that with TTS and just one app project I'll be able to get a solid job and that I'll have a community of dedicated, gifted programmers around me for life. Coming from the medical field and being frustrated with the development cycle as well as the very frustrating technological hurdles concerning the usability, accessability, and research design of the work I was involved in. I decided that a career change was in order to help change spur technological changes in the industry. With very little experience in coding I decided on TTS as my coding bootcamp of choice due to a recommendation from my friend who had a very positive experience there. The curriculum is fast paced and challenging with extra office hours available to those who need extra help. Along the way I have discovered that I really enjoy the problem solving involved in programming and believe that technology can affect great change in the community. I enjoy the understanding and journey to self actualization that they have provided for me and am looking forward to a more productive path of work. Everything at TTS has been an enjoyable experience throughout! The course set up was very nice and the curriculum was well thought out for the amount of time that you have. The class location was very functionable, a little cramped when we have a full class but not overly cramped. ( I am a big fella so that might have contributed to my idea of cramped) The commuity organizer, Taylor Weese, did an excellent job accomadating for everyone and went out of his way to help people with all the things that come up during a boot camp! Jill is a real asset to helping during and after with your resume with timely advice and recommendations. The instructor was very knowledgable on the subject matter and provided excellent documentation of the course lectures and activities. I had three instructors during my boot camp, Clarise and Leslie were awesome and really took time to listen to people and find new ways to help them understand with patience and respect. I would highly suggest this bootcamp to anyone considering learning coding! I recently completed the Full Time Code Immersion course and am glad that I enrolled. I was a little skeptical about how much you would actually learn in a short amount of time but was pleasantly surprised by just how much knowledge I gained. With that being said, it really is up to you to put in the hours after class everyday to make sense of what you are actually doing. It's easy to follow along with instructions but it won't always stick if you're not taking the time to practice what you are being taught. I enjoyed spending time in the classroom and getting to know the other students. Everyone comes from such different backgrounds so it's nice to have this common ground with everyone. The Community Organizer (Taylor) did a great job with making sense of it all when a few people felt lost. He has taken the class before so he was able to explain how he made sense of it all when he was sitting exactly where we were sitting. You come out of the class with real world projects to add to your portfolio to help show future employers. I would highly reccomend this class to anyone looking to make a transition into the tech world and has an interest in learning to program. I had been a high school teacher for five years when I decided that I wanted to pursue a new career path. I knew I wanted to go into web development, but I wasn't sure how to go about it. I had basically no knowledge or experience. Should I enroll in a university? Should I take classes online? I wasn't sure. Then a friend of mine suggested the Tech Talent South Code Immersion class. It was simply the perfect fit. From being welcomed via email after I enrolled to meeting my instructor on the first day of class, everyone made me feel comfortable and important right away. It was clear that there was a structure of support already in place. I learned tremendously from my teacher and felt like I was really sinking my teeth into relevant information and skills. The community organizer was very enthusiastic and helpful in immersing the students into the code community and helping us make connections that could lead to jobs. I have only been out of my teaching job for six months and I'm already prepared to apply for a job as a developer. I can't thank Tech Talent South enough for making this all possible for me! i was in the full time code immersion corse in Phoenix and I had a great experience. I spent probably 40-50 hours a week doing work, but that was by choice. You definitely get out of the course what you put into it. The instructors did a great job of explaining why we were doing what we were doing, and I was able to end the course with 6 projects that I can showcase to potential employers. I was scared at first that I wasn't going to learn much in 8 weeks. However, I can say that I am very happy with the knowledge aquired so far. Taking this class has opened my mind to new opportunities and I can finally act upon my project ideas. Highly recommended! I would highly recommend this course. Be prepared to learn hands-on and get the tools to continue learning even after the program. This course is an critical step towards bright future in software development. Tech Talent South (TTS) provides so much more than just,"Here's what code is, here's how to write it." The efforts that go into student acceptance selection and course delivery ensure you're sitting beside individuals that are just as excited about learning the content as you are. That thing you get really excited when talking about... ya, your fellow student probably does too and also found this new way you weren't aware of that opens up a completely new approach; and yes, they'd love to hang out after class on the couch or meet for coffee on a Saturday and "geek-out" about it with you. Once you factor in the community factors of TTS (Local Start-Up Tours, Networking Events, and TTS Community Team that want's to here and help you on your journey to success, however you define it); it's really a no-brainer that the lasting benefits and resources you'll get will be worth far beyond what you pay for a course. Disclosure: I took the TTS Part-Time Code Immersion Course in order to familiarize myself with terminology, concepts, practices, and general knowledge to enable myself to better communicate with our technical team and better support their efforts, not to directly acquire a technical role, though many of my peers in the course were there directly for that purpose. I definitely got out of the course far more than I expected, I had no clue about all of the value I'd find in the community and peer networks. I would personally recommend Tech Talent South to anyone; not sure if a full course load is right for you? (I was concerned about my time commitments) Go for part-time or get your feet-wet with a weekend course! Once you get a hint of what the TTS course offerings are all about, you'll be signing up for your second or third course in no time. Startup Primer - so worth it! I wanted to take the time to relay my experience(s) with Tech Talent South. I found out about the Charlotte chapter of TTS through a friend and strongly disliked the current career path I was on so I decided to take the plunge. I ended up enrolling in the Full-Time code immersion class and I absolutely loved it. The class is set up in order for you to get your feet wet and to learn the basics in both front-end and back-end web development. Although I definitely got a lot out of the class, it was not easy. You have to have the mindset that you are going to dedicate yourself to learning all you can during the eight week program. As in life, the more you put into it, the more you will gain from it and you can really gain a lot. When you finish, you will have a solid foundation of knowledge of Ruby on Rails, HTML, CSS, and so much more. Tech Talent South also offers a variety of other classes including the Big Data class. As our society continually evolves and our reliance on technology continues to increase, the need to analyze the data will be extremely important and the Big Data class introduces you to the fundamentals and ideas that will help start you on the path to learning more about data. 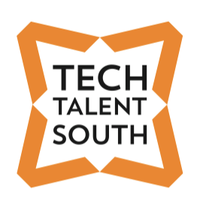 If you are looking to solidify a role in the tech community, then starting with Tech Talent South is the way to go. The instructors and the staff are great (especially in the Charlotte area) and I don't feel like you will regret the opportunity that you will create by joining the TTS community. Marisa Akers was a statistician and a quality assurance analyst before realizing that she really wanted to follow her passion for coding. She knew that Tech Talent South was part of her local Charlotte, NC community, so Marisa enrolled in their immersive Web Development Program. 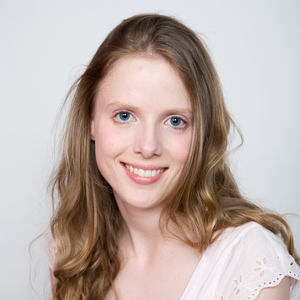 She graduated in December 2015, and is now a web conversion analyst at TradeKing. Marisa tells us about building confidence in her new career as a developer, and why diversity at Tech Talent South was one of her most valuable takeaways. I went to NC State University and got a Bachelor of Science in statistics. When I graduated I didn’t have much confidence or knowledge about the industry – I just had textbook skills and didn’t know how to translate them. My first job was at Chipotle which really didn’t help my confidence. I eventually got a job doing quality assurance analysis at a local software company in Charlotte. I was really excited to learn more about how technology is growing and affecting us, and how the apps and the products I use are created. I was there for a year, and it gave me a really good background to the language, process, and products of the industry, but I didn’t feel like I was using skills I wanted to use. When the company had a downturn and I lost that job, I was really dejected and confused. I knew I needed a better support system and a stronger set of skills. I wanted to remember what I am passionate about, what I’m curious about, and what would make me feel more powerful as a career woman. When did you decide to quit your job and do this as a career transformation? I already knew about Tech Talent South when I was offered the QA job – at that time, it was either take the job or further my education. So I took the job and watched Tech Talent South grow, and impact new students, their alumni, and the workforce in Charlotte. I admired their passion and skill for taking people through that entire experience. When I lost my job, I met with the co-founder Betsy and some of her staff, and I just knew it was the best option for me. It was difficult to make the decision to commit that money when I was unemployed. But I knew it would be the best option for my future, and would be an empowering, holistic experience to pursue what I dreamed about doing. What coding knowledge did you have from your college degree? My statistics degree gave me a background in a few coding languages. I had been using SAS and R, and I used Fortran for one semester. Once I started learning to code I was fascinated, but when I graduated I didn’t understand how to implement what I’d learned in a classroom to real life. Did you try to learn on your own before you thought about a bootcamp or did you just dive into Tech Talent South? What types of resources did you use? There are so many resources out there. I was trying to multitask while I was doing QA, and use as many online resources as I could get my hands on to broaden my education. I used Codecademy, Code School, Treehouse, Lynda, and a site called Kaggle that’s really great for people interested in data science. Did you look at other bootcamps or just Tech Talent South? I did look at some of the ones that are purely online. But I knew I wanted to be in person, with that one-on-one interaction, and support my local community. Tech Talent South is the only organization to do this for my city. What factors were important to you when choosing a coding bootcamp? Did you think about doing another four-year degree in Computer Science? I did consider it. I greatly appreciate people with a classical education. But I know that because this industry changes so quickly, it’s better to learn fast and hard, than to dedicate that time and money and gain some less than useful information. Also the price is wildly different, and the process is a lot slower in traditional education. It was about 30 people in the class. I have never been so appreciative of the diversity I saw there. Some students had CS degrees, and some had quit their waitressing jobs the week before. But everyone had this passion for learning. Everyone was accepted no matter their background. Before that class, when I was working in QA, there were fewer than 10 females in the entire company, and no racial diversity. So to go into the Tech Talent South classroom and see people of different, ages, races and backgrounds was really refreshing, because how can we build products for all people if we’re not including everyone? You have to respect the clients you’re working for, which is hard if you don’t allow them into your offices. So I was really proud of us for bringing our differences together, and the experiences we got out of it was more powerful for that fact. I appreciate it more than many other singular detail. How did you pay for Tech Talent South? Did you use a financing partner? Did you get a scholarship? I did get a scholarship, and I did a work-trade. Because of my background in statistics, I was able to help out with the big data analytics class. Betsy is so passionate about making this accessible to people. They have good payment plans, and they have trade with work opportunities sometimes. I was also extremely lucky to have my fiance who helped me with the payment plan because he knew continuing my education was important to me. What was the learning experience like at Tech Talent South — typical day and teaching style? The classes are half days. I know some code immersions do full days. But I found the half day really conducive to this type of learning – where you can immerse yourself in a lot of new information, then have time to process it on your own. We had class with a lecture in the morning with an instructor from 8 am to 11 am, then office hours from 11 am to 12 pm. In the afternoons there was time to have another job, time to work on homework, and any further studies we wanted to do. Then the next morning we did it all over again. I got a part time job at first, but I found I was able to absorb more and dedicate more time to my studies if I just focused on being in class. What was your favorite project you created? I really loved doing our final project because at that point we had enough knowledge to imagine a tool we wanted to use and to fully execute it. It was such a powerful feeling for me to host it online, and see it live. My group did a Pinterest-style app called CityBuzz for local businesses to connect with clientele and post promotions, sales, and new openings. One of the most important classes to me was the day we first used SQL, even though we only had one lecture and one weekend to do an online mini-course. That was one of the most effective steps I took towards my current career. It really was an enlightening experience to go through that part of the course. Tell me about your new job at TradeKing. My title is web conversion analyst so I am on a team dedicated to creating the best experience for new clients as they go through the process of creating an account on our site. The account itself can be used to trade stocks, trade options, or to invest in a Roth IRA etc. I’m learning so much and finding it’s a really interesting industry that I had never really seen myself being a part of. What technologies are you working with at TradeKing? I use SQL server, R, Python, and Tableau. The tasks I work on are pulling data and performing analysis on our clients, following them through the process of completing an application, and trying to spot places in our process to improve. We’re constantly trying to observe what other people are doing, observe what our clients are going through, and trying to make the process to feel as natural and quick as possible. How did you find the job? What was the application and interview process like? I was recruited through LinkedIn, by a local agency that works closely with TradeKing. That was a really exciting way to start a year. In the first week of January 2016 I got a message from the recruiter who was really passionate about the position and interested in me. He had me take some pre-tests on SQL, I did a phone screening, in-person interviews, and a code challenge. It took around 10 days to complete. It’s a really intense but comforting experience to be able to find that compatibility between an employer and employee. How did Tech Talent South prepare you for finding a job? In addition to having one-on-one meetings to discuss my hopes, desires, and skills, they connected me with companies I was interested in with direct emails. Tech Talent South encouraged me along the way, and everything I learned in the class helped me be relevant to any development process happening right now. Whether it was understanding the lingo, or being exposed to different tools, I learned to ask the right questions. So if I ever saw something I didn't immediately understand, I wasn’t stuck. They inspired me to reach for things which before I had seen as inaccessible to myself. What was your original goal in attending a bootcamp? What were your plans after you graduate? Losing my job was the scariest thing I’ve gone through recently. I was tempted to not work in technology any more, but I just had to acknowledge that this is a difficult industry, and you can’t always control what happens to you. I wanted to be more confident in myself and my ability to pivot. I knew I had this background, this experience, and I could decide how to move forward, and I wanted to do that by being in a developer position. I wanted to combine tech, software, development, and data analysis. Are you using the tech stack or programming languages you learned at Tech Talent South or a new one? I did have to learn some new things. When we learned SQL at Tech Talent South, I had never used it before, and that day was a lightbulb moment for me. So when I graduated, SQL was what I pursued the hardest, and one of the reasons I was recruited for this job. I’m also using a bit of my knowledge from my stats degree. I studied R again and picked up Python because I know it’s one of the most powerful data processing languages. I found once you start getting a technical education, and start implementing logic into your day to day tasks, everything starts to feel more natural and you understand what the people you’re collaborating with are doing. So while I don’t use Ruby on Rails in my job right now, I’ve found almost every single thing I learned in that class is still relevant to my career. What’s been the biggest challenge at your job? My struggle with confidence. I’m on a small team, in a unique position, and sometimes when you see the brilliance around you, it’s hard to admit you’re on the same level. But with the resources and the support system I have here, it’s about facing each day with courage, being able to move quickly, learn something new in one day, and execute it the next. I have an amazing team. What sorts of things are you doing to maintain and learn new skills? I try to read a lot, even if it’s just a couple of Medium articles in the morning on UX or new products. I try to look at my week and balance which tools I’m using and when, so I don’t rely on one too heavily. And then I try to stay curious in my own free time. I still maintain my Lynda membership, and I’ll often play a video while I multi-task to stay as curious as possible. What advice do you have for people embarking on the job market after taking a bootcamp? These job seekers are so close to my heart, even if I don’t know them personally, because I know how difficult it is. My advice is to decide on what you want and go for it very confidently. Have the confidence to pivot when you need to. Surround yourself with people whom you can ask questions, or who will give you their unfailing support, and then just know you can do it no matter how difficult it is. It’s strangely difficult for humans to be logical, and that is the foundation of what you learn at a coding bootcamp, no matter what programming language you’re focusing on. So if it feels weird for a day or a week, just know that will pass and you're always gaining valuable skills and experiences. And when you start a new job, always ask questions of the people you’re working with – they’re a vital resource. If you have good coworkers, they won’t punish you for asking questions. In fact, you’ll have a better experience and a better product afterward. Is there anything else you’d like to add about Tech Talent South? I hope I’ve been able to express how grateful I am because it’s not common for someone else to want to make you more powerful and confident in yourself. To find this group of people who dedicates every day to doing that for as many people as possible is almost absurd. I’m astounded at what Tech Talent South has been able to build and how they’ve been able to empower people. I still wake up excited that this career change is something I’ve been able to do for myself. Find out more and read reviews on Tech Talent South's Course Report Page. 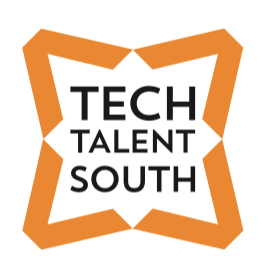 And check out the Tech Talent South website. Tell us about your background and how you ended up in the Coding Bootcamp space. Do you have a background in education? Betsy and I make a dynamic duo and we bring a good perspective to the mix. I’m from Atlanta, so I’m very passionate about starting and headquartering Tech Talent South here. I went to school in Virginia and moved to DC afterwards to work for Cvent. It was a really good first experience in the tech world, and where I caught the bug. At the time, there were about 75 employees, and it grew to over 1000 employees in the four years I was there. 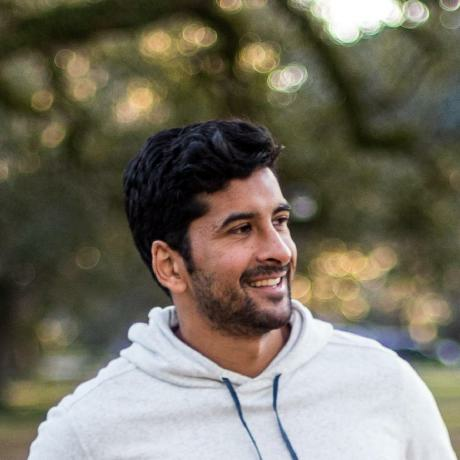 As a young guy, I got to do all kinds of cool stuff outside of my comfort zone- I was travelling internationally, overseeing strategic partnerships- I was more of a business guy, but loved tech because I had aspirations to be entrepreneurial. When I left Cvent, I wanted to do a true startup, so I went to Chicago to join a company called HighGround. We had no product, no money- we were working on a SaaS tool in the HR space geared towards performance management and employee engagement. Once we raised money, the next step was to start hiring developers. I became really interested in learning to code because I wanted to be dangerous on both sides, and more importantly, I had ideas of my own that I wanted to be empowered to prototype. So I started playing around online with tutorials, but I really wanted more structure. I started at The Starter League in Chicago, which is where I met Betsy. We worked with Ruby on Rails, which is what we teach, and we were the only two Southerners in the program (Betsy is from Charlotte) so we naturally became buddies. We saw the impact it was having in Chicago, and Betsy especially will tell you how much she wanted this opportunity to exist back home- she left her fiance in Charlotte for several months! Betsy has a really interesting background being a woman in tech, which is traditionally not common. She ran a product development company in Charlotte called Little Idea. They worked with inventors and entrepreneurs to prototype an idea for a product, design a business plan and a marketing strategy. She sold Little Idea to a company called Enventys and went on this journey to learn to code. We have a very soft spot in our hearts for people who want to launch their own product. You both went to Starter League, which is a 12-week course. Why did you design yours to be 8 weeks? We get this a lot, because we’re 8 weeks long instead of 10 or 11. But don’t just factor in the number of weeks, factor in how much time you’re in class and how busy you are during that time. We loved Starter League, but we would rather have class four days per week (as opposed to three at Starter League) and work through the material in 8 weeks instead of 11. We’re not cutting out material, it’s just more condensed. You have two tracks, Full Time and Part Time. What are the different outcomes for each of those courses? It is pretty unique that we do part-time, but we love it. The part-time course is two nights a week from 6-9pm. 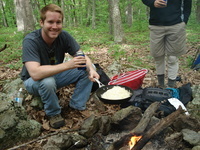 Part-timers can still take advantage of all the outside activities- guest speakers, events, tours of local companies. What’s great about the part-time program is that it allows people to keep their day job and keep a steady paycheck coming in. We get a lot of folks in part-time who are interested in supplementing their current job. Maybe they work in Sales or Account Management at a tech company and want to learn about the other side of the equation. We also get people who do something totally irrelevant to tech in their day job, but they want to pursue something on the side. We love supporting the people who are dipping their toes in the water. Naturally, full-time is more in depth. Full-timers are typically looking to reinvent themselves. They’re looking to make a career change or pursue a job in web development, or they have ideas of their own. Both are great programs, it just depends how in-depth you’re willing to go and what sacrifices you’re looking to make. Was your first cohort in Atlanta? Our first group ran through Atlanta from October-December. We had 15 students between the two programs for our first group. We’re about half-way through our second cohort and we have 22 students in this group. We’ve been growing, which is great. The way we started is in kids’ camps, which is a lot of fun. We’re constantly doing these camps around the Southeast, getting kids excited about tech. And now you’re expanding into Charlotte, Raleigh, and Asheville. What’s next? Our goal is to put the Southeast on the map as the next big tech epicenter. We came up with the name for a reason- Tech Talent South. Atlanta has gone really well, so we’re excited to bring that experience to other towns. Our next program starts in Asheville on Monday. We have a great instructor on the ground there. And we’re gearing up for Raleigh and Charlotte. We have a good grasp on what we’re doing here, and we’re ready to take it to other spots. Tell us about the tech scene in the cities where you’ve launched. I have a soft spot for Atlanta because this is where I’m from. There are a ton of great startups in Atlanta- we’re hitting it at a really good time. A big part of the tech hub narrative is that people are hungry for more talent, so we obviously are excited to push more developers out into the scene. There are a lot of Fortune 500 companies here, so if you’re able to create a product that delivers value to those companies, then there are a lot of potential clients here.Plus, we’ve got a low cost of living! Betsy is from Charlotte, so she knows the community there and has been very connected with the tech and entrepreneurial scene there. Similarly, there’s a great startup scene in Charlotte and a lot of neat coworking space- we’re going to be working out of one called Industry Charlotte. There’s plenty of activity to support what we’re doing. Raleigh-Durham is a nobrainer between the universities and a lot of great tech companies with a tech presence. We’re definitely strategic about the places we’re picking. What are you looking for in a potential student? Do you consider yourself a “Zero-to-Sixty” bootcamp, and how can students set themselves apart? We definitely go for personality over pedigree. We don’t care where you went to school, if you have a college degree, or even much about what you were doing beforehand. What we care about is enthusiasm, the right attitude, and that you’re someone who will really buckle down and get a lot out of the experience. We have a killer curriculum and great instructors, but there’s no silver bullet. It takes a lot of work and powering through the frustrations that come with being a beginner. Naturally, when we interview folks we’ll ask about a tough project that they’ve worked through and how they approached the challenge. We get a really interesting mix of people and we do double-round interview everyone. It’s a pretty rigorous process, which we think is good. Have you ever accepted a student who did not fit the tech profile but ended up doing really well? We are beginner focused, but with that said, we have pre-course work that we require. We provide resources and are very adamant about getting through that material because we move at a rapid pace. Folks who we interview who have the right drive, if we’re bringing them from “zero to ten,” then we make sure they’re at a “2” by the first day. In that sense, we don’t have anyone coming in on Day 1 who has never touched programming. At this point, we haven’t had anyone drop out of the precourse work, but it get people in the right mindset- this is going to be tough and you have to be ready to buckle down. How large are your cohorts? In our last group, we had 15 and in this current cohort, we have 22 (part-time and full-time). We get a lot of applications, which is great- we’re lucky that we’re able to be selective. We know that we want to keep the classes small- I don’t want 25 people in our classes, so I don’t think we’ll go much bigger with our cohorts. We have a full time and a part time instructor. We like that model because they can share ideas about what’s working in the classroom, team up to do lesson plans, and they both have office hours. We also have a TA, which is a huge help, and even I hold office hours. We also have mentors from the tech community- we try to make sure they have a lot of resources. Describe the curriculum and tell us about the teaching style. As you would imagine, classroom time is a mixture of lecture and lab. The instructor will introduce new material (ie. how to add a gem to your rails application) and then the students pair program to solve the problem. The instructor will float around and offer guidance, but it’s meant to be very interactive. The way you learn this material is by putting it into practice, so you need to hammer through on the keyboard and work it out yourself. That’s the classroom dynamic. Our students stick around for the full day, we’ll often have speakers in the afternoon, or we may jump in the car and go tour Mailchimp or Scoutmob. We love that you’re supportive of entrepreneurs who may want to start their own thing, but how do you help the other students who want to find jobs in tech? As I mentioned, we do have some folks who aren’t necessarily looking for a job, but naturally, we do have a lot of people who are. Our track record on that is very strong. I know that over 85% of our students have had at least one job offer within 2 weeks of class ending. Every single one of our students who stayed in Atlanta has a job. One of our guys came from Puerto Rico, and he’s now back there freelancing. Another woman is working for a startup in Charlotte, and another is pursuing her own idea. With our current cohort, a lot of them are just getting into that process. We have relationships with several tech recruiters, which is a huge help with resume and interview prep. And then we have a mentorship program where each of our students is set up with a developer or an entrepreneur, depending on their goals. Our goal is to have the Tech Talent South network spiderweb out as much as possible. One of our favorite success stories is a woman named Jenny who was an OB-GYN with her own practice for about 16 years. She was burnt out on medicine, so she started playing around with coding online. She felt invigorated again, and set out to make a dramatic career change. She went through our program and now works for a dev shop called Toolbox9 in Atlanta. She has kids who are 14 and 17 and they think she’s awesome now because she spends her days building apps and games! What is the makeup of your cohorts in terms of gender? We have a dead split in terms of men and women. I think some of that is a testament to Betsy too- she makes it more approachable for women trying to break into web development. When a student takes a job with a company, do you take a hiring fee or recruiting fee? We don’t, for a couple of reasons. The first is that I don’t want to be incentivized to push our students in one way or another. We try to stay impartial on that front. We provide them with resources to get them to a place they’re happy with, but we don’t want to be collecting money if they get a job. And a lot of our students are more interested in doing their own thing, so I don’t want to encourage someone who has an entrepreneurial spirit to take a job because Teck Talent South will get a kickback. Do you feel pressure to become accredited or to work with the regulatory agencies in Georgia? We’re very careful not to position ourselves as a “job placement” program, which is where, I think, a lot of that heat comes from. And I’ve seen a lot of programs that make some lofty claims- six figure salaries, guaranteed job placement etc. We try to be more careful about managing expectations. Is the developer path a very lucrative path to go down? In two or three years, will you be commanding a high salary? Absolutely. But you’re still a beginner, you’re starting over. You’re not going to learn to be the best concert cellist in 8 weeks, just like you're not going to be the best developer in the world in 8 weeks, 10 weeks, or even 20 weeks. Don't let anyone tell you otherwise. Just like anything else, it takes time and hard work. Does Tech Talent South sound like the coding bootcamp you've been looking for? Check out more on their website or by visiting their school page on Course Report! An email with these details has been sent to Tech Talent South. You've already applied to this scholarship with Tech Talent South.